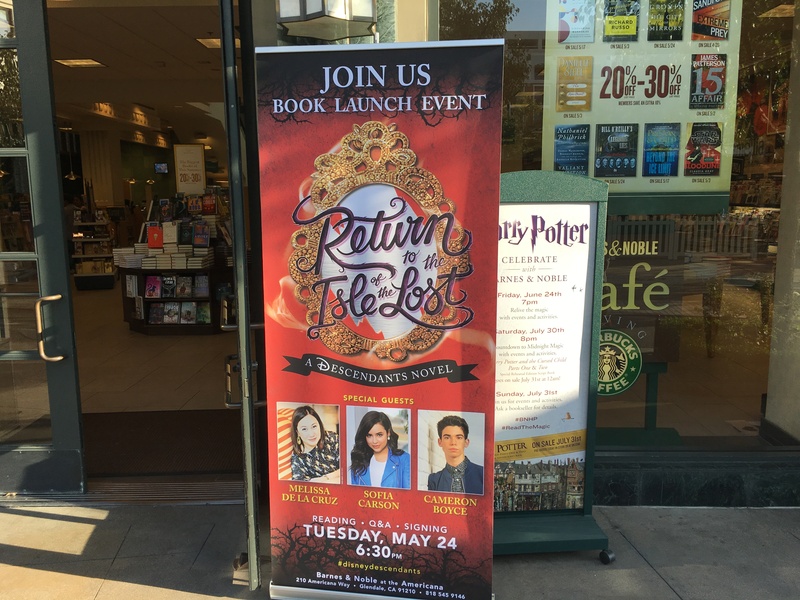 Melissa de la Cruz has written the follow-up to her New York Times Best-Selling Isle of the Lost which was a prequel to the Disney Channel Original Movie Descendants. Return to the Isle of the Lost has Mal, Evie, Carlos, and Jay return to the home of the Disney villains to solve a mystery. 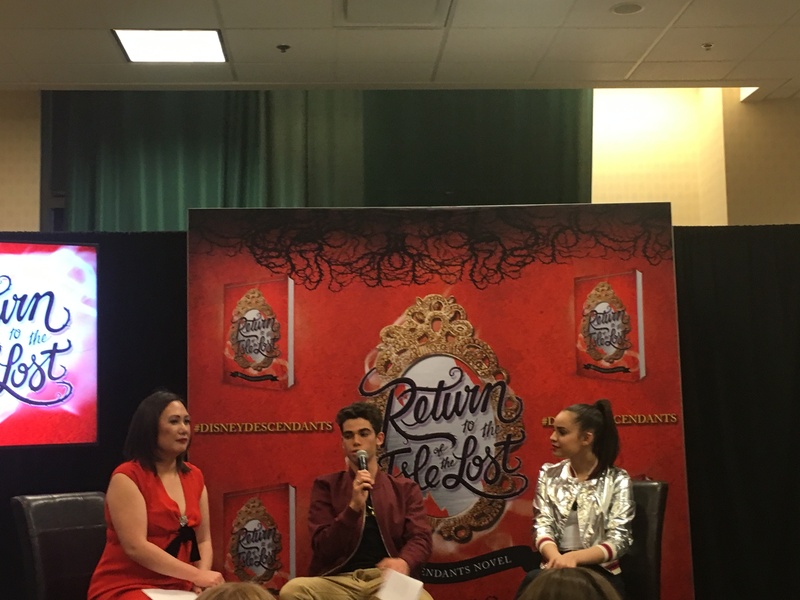 To launch the next chapter in the Disney Descendants story, a launch event was held in Glendale where Melissa de la Cruz was joined by Sofia Carson (Evie) and Cameron Boyce (Carlos) to meet readers and celebrate Disney Descendants fandom. We had the opportunity to sit down with Melissa de la Cruz and Sofia Carson to discuss their part in creating new Disney stories. It’s so funny, it’s not really that restrictive because I have the whole Disney universe to play with. They don’t say, “Oh, you have to do this, you have to do that.” Everything in the books are my ideas and what I pitch. In the second book we had maybe a little bit more leeway because there’s no movie until next year, so I was able to do a whole adventure. I think the challenge is there, but it’s not restrictive, it’s definitely a collaboration where we say, “Okay, so we can’t do that. What about this? Oh how about this?” It’s really fun. Sofia Carson, who portrays Evie, was recently named Radio Disney’s N.B.T. (Next Big Thing). But we think that she already is a “big thing.” Just keep in mind that Carson’s rendition of “Rotten to the Core” has been viewed over 61 million times on YouTube. She is also set to star in the upcoming Disney Channel Original Movie Adventures in Babysitting and A Cinderella Story: If the Shoe Fits for Freeform. 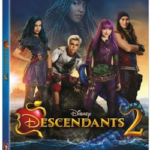 While a talented individual in her own right, Carson had high praise for what Melissa de la Cruz was able to bring to the world of Descendants. I’ve narrated both of the audiobooks and when I read the first one it was after we had shot the movie and I was wondering how Melissa did it because she wrote it afterwards, but she wrote the prequel after the first movie was supposed to be filmed. I always wondered if it would feel like it was my story, and as I read the first chapters about Evie and Mal when they were kids in the birthday party, I felt like it was happening to me. I really felt like she had brought to life our characters so beautifully and it’s so surreal to see it in writing. It’s just such a beautiful feeling because her books don’t feel like just a book, it just feels like this fairy tale come to life..
Of course we couldn’t miss this opportunity to ask Sofia what it is like to be taking the Disney universe by storm. To say that I feel lucky is an understatement. I pinch myself every morning because not only am I doing what I love everyday, and as you see, I’m so excited and so thankful to do it. The projects that I’ve been lucky to work on are such important projects. 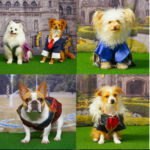 Projects that are part of my childhood and a part of so many people’s childhood, Descendants deals with the iconic Disney villains. I play the daughter of the Evil Queen. That is such an honor and to be in the 100th DCOM and in A Cinderella Story are is so special. Each one is kind of a fairy tale in itself, and I feel so thankful. It is a beautiful responsibility that I’ve been given and I thank Disney everyday for it. 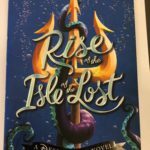 Don’t miss the latest exciting chapter in the Disney Descendants story with Melissa de la Cruz’s Return to the Isle of the Lost. In addition to hearing her in the audio book, you can catch Sofia Carson in Adventures in Babysitting when it premieres June 24, 2016 on Disney Channel.